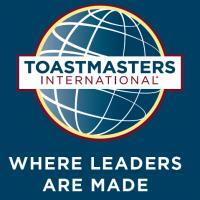 Clutter—many of us want to get rid of it. At best, it is a temporary bother. At its worst, it nags at us and makes life unpeaceful. Science has proven that clutter can cause stress and unrest, making your home less than a calm haven. When you are selling your home, it can be a real turn-off. Dr. Lisa Poundstone understands well that clutter is distracting. 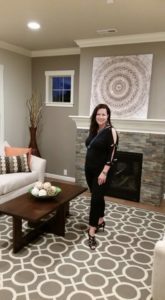 Dr. Lisa Poundstone, the owner of Design Smart Home Staging and Redesign, uses the principles of feng shui, the contemporary design approach to positively affect the energy flow and harmony in a home, whether she is staging a home to sell or staging a home to live. With her PhD in science and years of experience as a top designer, Lisa understands one of the most essential principles in feng shui is de-cluttering a space. 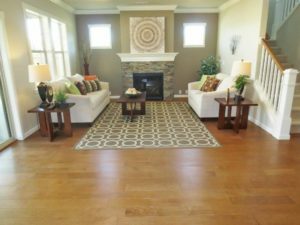 A home that is staged to sell will attract buyers, not distract them. 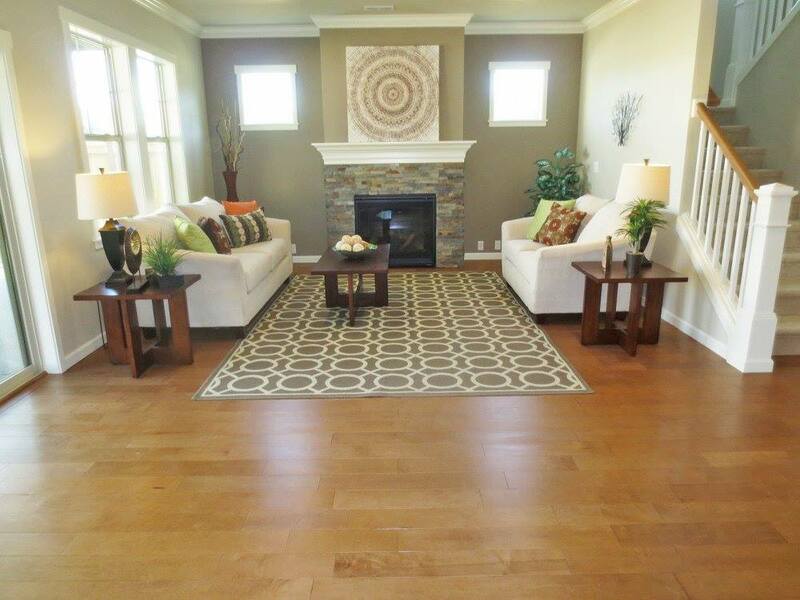 Lisa staged this home at The Village at Mill Pond for the Olympia Master Builders Tour of Homes. Clutter makes a home seem messy. Clutter in the form of papers, pictures, décor, artwork and furniture can make rooms look and feel smaller than they are. Buyers can have a negative reaction when there is too much furniture or it is placed in awkward positions within a room. A lot of furniture can make buyers feel hemmed in and uneasy. Buyers need to be able to walk freely through the space so that it feels like they have plenty of room to move around. An overly-decorated home feels claustrophobic and overwhelming. Buyers cannot see a home’s potential through all the stuff. A lot of personal items are distracting. One of the most frequent recommendations I give sellers is to remove all family and personal photos as well as diplomas and certificates, trophies, religious artifacts and anything with your name on it. It all can make buyers feel like they are intruding on someone’s personal property and can distract them from seeing the features of the home. Holiday decorations can be clutter. Holiday decorations tend to clutter a space more than usual. Rather than removing already existing décor, it is common to layer the holiday décor on top, so that the clutter is amplified making the room feel slightly chaotic and the flow and energy of the room is stifled. In her more than eight years of helping people stage their homes, Lisa understands that clutter can be subjective and is sometimes hard for many homeowners to spot. 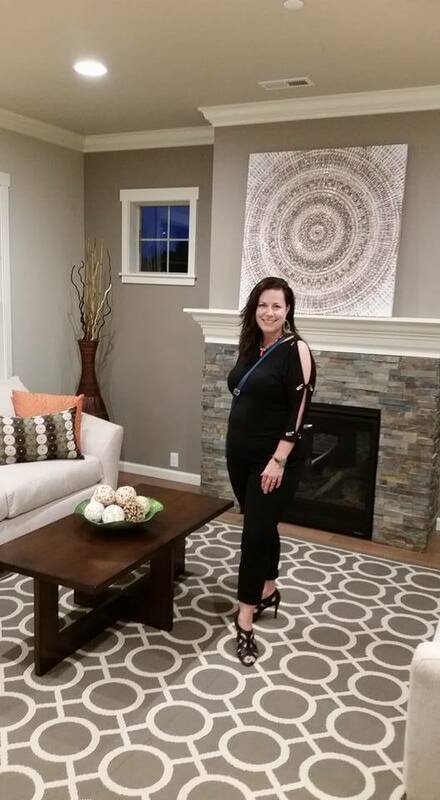 Dr. Lisa Poundstone, ASP, PhD is the owner of Design Smart Home Staging & Redesign in Olympia WA. Her company has been voted the Best of South Sound in Interior Design for the last four consecutive years. 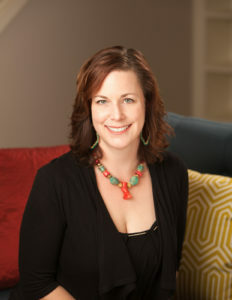 Lisa is also a columnist for the area’s daily newspaper and writes a blog called The Design Doctor. You can reach Lisa at 360-480-5810 or by emailing lisa@designsmartstaging.com.